Getting into an outdoor activity can be exciting and fun. It may lead you to the most uncomfortable situations, but it gives you quality time with friends, and being one with nature. Backpacking is one of the popular outdoor activities. In order to have a comfortable, safe stay in the mountains, at the beach, or in any other outdoor space, you need to pack a durable tent. But when you are looking for a new tent, you will find a vast array of choices which can be overwhelming. Top-notch tents are durable, provide ventilation, prevent weather leaks, and come with comfortable sleeping arrangement. They also provide enough room for the people who are going to stay in it. They can be easily set up and folded down for convenience. One of the best tents for camping is the Coleman Sundome 2 Person Tent. It is a 2 person tent with dimensions of 48” by 60” by 84”. Its components include a rain fly to provide ventilation even when raining, a large door for easy exit and entry, and a large back hooded window for good air flow. While it is made by one of the trusted manufacturers, you might assume that it is expensive. Not true. In fact, the Coleman Sundome 2 Person Tent can be one of the most cost-effective tents today. The Coleman Sundome 2 Person Tent stands out among the other tents. It comes with unique features that make up the comfort and safety it provides. The Coleman Sundome 2 Person Tent is built with a large door where you can easily enter and exit; 2 windows with rain fly for ventilation and cross ventilation even when raining; mesh vents on its roof for added ventilation; a cool air port for maximum air ventilation; and a polyethylene floor for weather protection. To prevent (rain) water from coming in or leaking, the tent has welded seams to serve as a guard to prevent a leaky floor. Electricity can also be run inside the tent. The Coleman Sundome 2 Person Tent has a small zippered electrical access port for AC power. Keep your valuables safe with its one interior storage pocket. This tent can easily be set up and folded down with its easy instructions that are sewn into the carry bag. Other useful, convenient features of Coleman Sundome 2 Person Tent are the flashlight loop on its ceiling, fire retardant material, the carry sack, and stakes. In this portion, we will look into the pros and cons of the Coleman Sundome 2 Person Tent. Then, we will weigh them and see if this tent becomes a good deal. 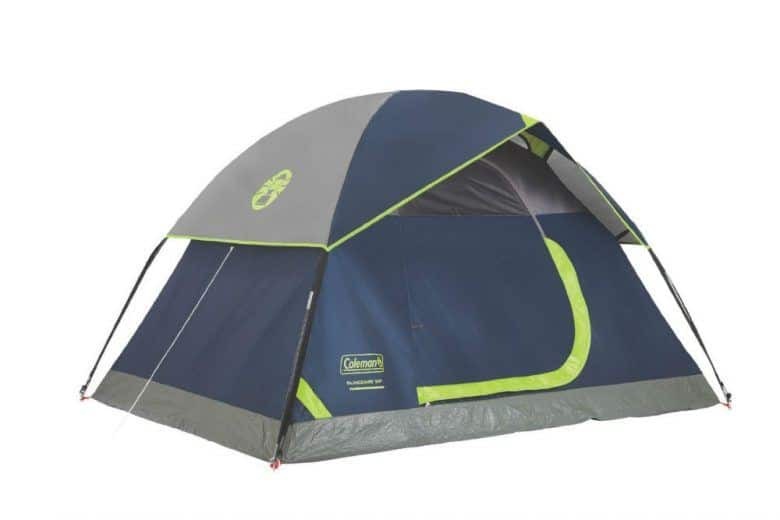 The Coleman Sundome 2 Person Tent can be best used during summer camp; it is not good during cold weather. In summary, the Coleman Sundome 2 Person Tent is a durable and comfortable tent for camping. It is one of Coleman’s classic Sundrome series tents that are known for their strength and quality. Coleman is a well-known manufacturer of quality outdoor equipment and supplies. 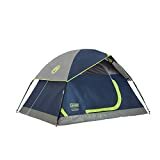 It is apparent in the features, pros, and cons of Coleman Sundome 2 Person Tent that it is an excellent tent for campers who value their comfort and security outdoors. It has enough ventilation, protection against the rain, and is easy to set up. It comes with carry bag sewn with set-up instructions for ultimate convenience. Plus, it is affordable compared to other tents. The Coleman Sundome 2 Person Tent can be given a 4.5 out of 5 stars for its excellent features.